Article: Can telecom be the next IT sector? Can telecom be the next IT sector? With the IT sector beginning to second question its labor intensive models of operation, can the telecom sector be the next driving force in the evolution of Indian job markets? The IT sector has been through some turbulent times in the recent past. Having taken up the mantle of being a constant source of job creation, many companies are now facing strong talent shifts. Driven majorly by the changing political and market conditions, many have resorted to the use of automation and robotics technology to regain their shortening profit margins. Changing economic policies within many developed markets to promote native job growth has meant that there is less of an incentive for Indian IT companies to hire Indian talent, a prevalent practice within IT companies to cut cost and have a better bottom line performance. This shift in business models has meant that IT giants like Infosys, Wipro, and others can't just depend on labor intensive operations to remain profitable; especially if the benefits of adopting newer technology are significant. The IT sector of India, during its nascent stages, was able to successfully tap into a growing global demand for good IT services. The availability of cheap technical labour helped Indian IT companies outperform their foreign counterparts and become global players. The low costs incurred in hiring and training professionals in bulk numbers in India, rather than their country of operation, provided a cost advantage to Indian companies. A model that was soon followed by other global companies like Accenture and Cognizant. As pockets within India became a hub for IT companies to operate in, the scope of job creation also expanded. Soon these pockets of IT operations grew enough to contribute significantly to the job markets, today being one of the largest job creators within the Indian tech talent space (one of the biggest talent pools in India). IT sector helps the huge number of engineering graduates entering the job markets find employment each year. They have been vital in ensuring that economic progress within the sector also led to job creations. This helpful trend within the job markets has off late taken a hit. With traditional IT giants are resorting to mass layoff and harmful HR practices as most look at revamping their business models, adopting newer technologies and increasing their foreign hiring numbers. The sector also is in a need of massive investments on re-skilling employees as most of low to mid level professionals operate with an obsolete skill set. These issues were further accentuated by the resignation of Vishal Sikka, the ex CEO of Infosys. These are not good signs for a sector that has been the engine of job growth in India. As fired employees fight against wrongful termination, the sector has started showing signs of a dwindling potential to create jobs. Or at least a difficulty in maintaining their current standards. There has been a fall in the total number of new hires across the major IT companies in India. In times when job creation is a major challenge before the country, cracks within one of the vanguards of job creation within the country are troublesome signs for the government. But the case with evolving technology has been one of constant change. Like an unbiased force, technological advancements create market changes, changes that usurp existing business models and revive sectors that have been ailing. One such case seems to be the Indian telecom sector. Although at first glance, the sector seems financially stressed, undergoing major disruptions with the onset of cheaper technologies, the sector seems to be of promise. 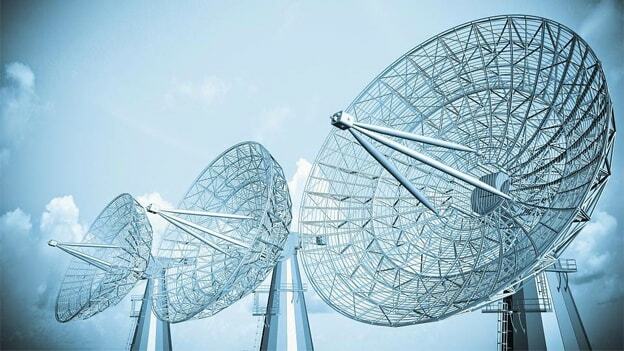 According to an ASSOCHAM-KPMG joint study the telecommunications sector is poised to 30 lakh jobs by 2018. As the sector successfully taps into new technologies like such as 5G, M2M and with the evolution of Information and Communications Technology (ICT) the telecom industry can be a significant contributor towards job creation in the years to come. Driven majorly by the increase in demand for better data services to match the exponential growth of the handset and smartphones, the report noted that the sector over the years has seen a shift from focusing majorly on voice service to data services and that such a shift can help telecom companies stimulate demand within the market. Smart phones aren’t really that smart without data services. (By the end of 2016 the number of internet subscribers in India was 391.50 million making India globally the 2nd highest in terms of internet users.) The study also noted a growth in the telecom sector as TSPs seems optimistic and have significantly increased their investments to modernize their existing networks. This increase in investment would create more jobs as the existing manpower in the sector may not be adequate both in number as well as in skill to cater to the upcoming demand, claims the study. There is a need to bridge the gap in skill which on the one hand would require identification of skilled manpower in diverse roles such as infrastructure and cyber-security experts, application developers, sales executives as well as on the other hand reskilling of existing manpower working on existing technologies for them to be updated with upcoming requirements of the changing nature of work. This is where government intervention also becomes necessary. The changing global scenario has impacted both the IT and the telecom sector alike. The IT sector during its inception benefitted greatly with the government partnering to help meet the skill demands of the sector. On similar lines telecommunication sector, pushed forward by the growing indigenous demand should be on the government's radar as it attempts to stimulate job growth in India. Although in the short run the sector seems to be in turmoil, with many players entering what is an evolving market, the sector definitely shows the potential to be able to contribute towards India Inc. ability to generate jobs for India’s demographic dividend.